The retail world is surrounded by plastic and packaging! However, times are definitely changing and many retailers are taking responsibility for their actions to help change the way that goods are packaged and provided to you. 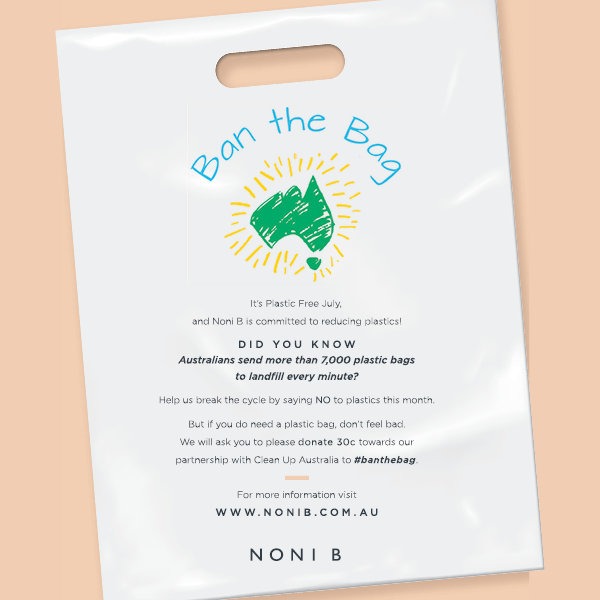 In fact, this month is Plastic Free July and both Noni B and Rockmans are partnering with Clean Up Australia to say NO to plastics this month. 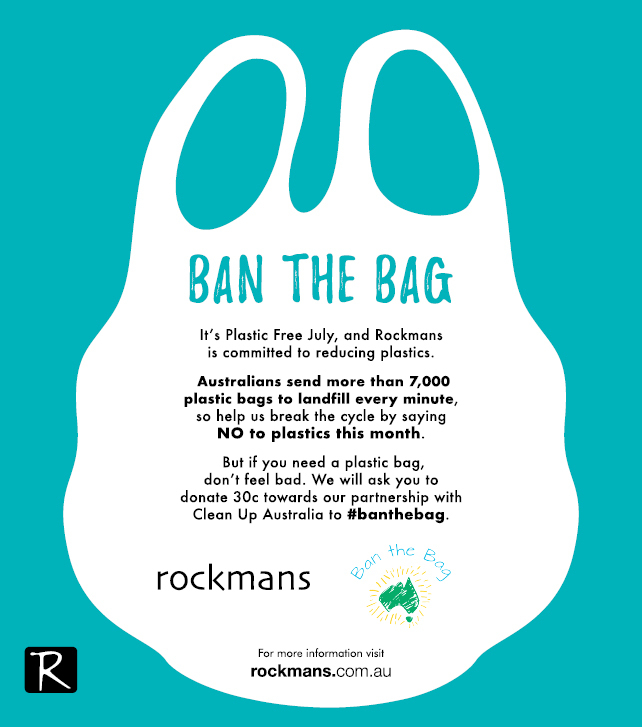 When you shop at Noni B or Rockmans in July, you won’t be offered a bag for your purchases! Wow, great news for the environment and the perfect opportunity to use one of those fabulous tote bags that you have already in your collection. If you do need a bag, don’t feel bad, you will simply be asked to donate 30 cents towards Clean Up Australia. Now that’s a great partnership!